“What’s on in Devon?” isn’t a simple question to answer at the best of times, especially as the summer season gets underway. There are just too many great events to choose from! Here are some of the highlights for June 2016. The Edwardian Arts & Crafts House of Coombe Trenchard, located on the edge of Dartmoor, plays host to this two day event, which showcases the best home and garden products in the South West. Visitors can also get advice from expert plant growers, browse the pop up art exhibition, enjoy a Pimms or a cream tea, and even have a bash at Edwardian croquet. There are so many reasons to visit this two day celebration of the much loved pint. More than 60 beers and ciders to sample. Hog roasts, burgers and burritos from the food tent. And a foot stomping folk, rock and blues music to keep the party swinging. Plus all profits go to charity. What started out as an oversized party put on by three school friends has grown into a hugely popular independent music festival. Today Lemonfest boasts six arenas and stages and a lineup of over 50 acts, which this year include Alabama 3, Beardyman, and The Hot 8 Brass Band. 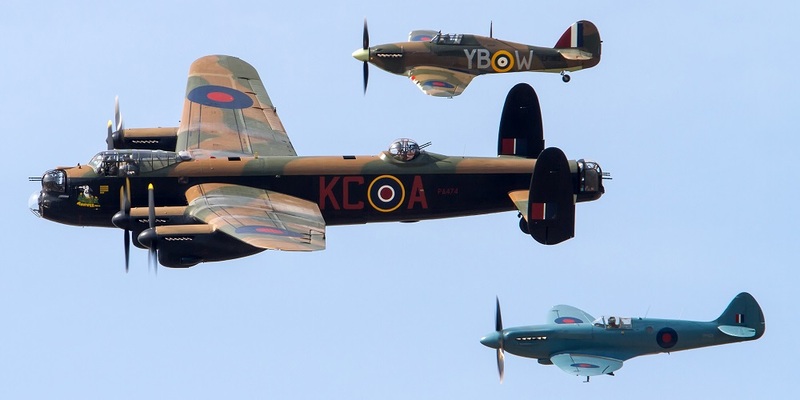 This free event is the place to see both hi-tech and vintage aircraft take to the air, daredevil avian aerobatics from the Red Arrows and spectacular demonstrations from the Tigers freefall parachute display team. On the ground there will be entertainment including live music, interactive exhibits, a fun fair and bouncy castle, plus plenty or food and market stalls to browse, plus an Armed Forces Parade on the Saturday. This grand craft event brings together more than 200 of the country’s finest designer makers for a series of talks, workshops and craft demonstrations, not to mention stalls to browse. Don’t miss the finalists of the BBC’s The Great Pottery Throwdown, who be competing in a one-off Festival Pottery Showdown, with the results available to buy on the day. Jeff Warner, Malinky, The James Brothers, The Claque, Magpie Lane – if these names get your toes tapping, then head to Teignmouth this June for the 18th annual folk festival. As well as live music there’ll be Morris dancing across the popular seaside resort, so have your camera at the ready. This award-winning, family-friendly beachside festival is a great place to enjoy a combination of laid-back music and seaside sport. Enjoy everything from beach volleyball and ultimate Frisbee to nationally-recognised surfing and surf life-saving competitions, against a backdrop of tunes from the likes of DJ Fresh, Sunset Sons and KT Tunstall. If you’re looking for a traditional English fair day, swing by the village of Meavy on the third Saturday of June. Here you’ll find all the ingredients of a perfect village fete, from cream teas and cakes to craft stalls and a coconut shy, face painting, a bouncy castle and even a family fun dog show. Raising money for Oxfam has never been easier. Just get your ticket for this one-day festival and enjoy live music from the likes of New Daze and Lisa Sokell, free activities such as circus skills workshops and scrap art sessions, and stalls selling everything from clothes to books to cake and ice cream. Watch trawlers dressed with festive bunting battle it out in a race across Tor Bay that will raise thousands of pounds for local charities. As well as watching the spectacle from key vantage points around the bay, there’s always a great party on the quayside for all the family to enjoy. You won’t be able to see just one show at this arts extravaganza, which celebrates its 10th anniversary this year. There are 38 different companies performing 120 shows over the four day festival, with everything from comedy to crime capers, fairy tales to farce and everything in between. Film and comic fans of all ages will love this annual event, where you can find hundreds of stalls full of TV and film memorabilia. There are also lots of activities including photo shoots, panels and autograph sessions with special guests like Doctor Who’s Bonnie Langford, Red Dwarf’s Robert Llewellyn and Chris Judge from Stargate SG1. We always want to hear more about what’s on in Devon, so let us know if you have any recommendations. If you’d like to go to any of these events and need a place to stay, check out our great range of holidays in Devon.